Being a good elder brother on a fine day, I went to collect the report card of my youngest sister. 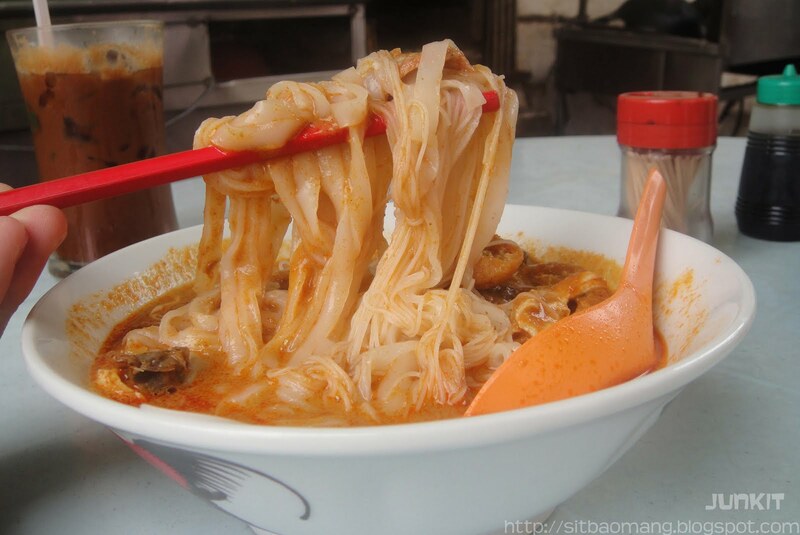 Right after that, we were hunting for some good breakfast; and this curry noodle stall just hit on me. 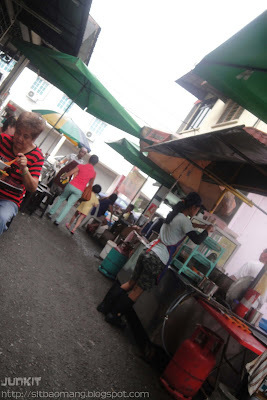 Well reason being that when I was in primary school, I used to frequent this stall with my mother almost every morning to get good breakfast. Feeling a little bit nostalgic here lol. This stall here is, well like how I used to like to say is one of OUG's treasure! The curry noodles here are of the better ones and trust me, the taste never changes as the uncle and auntie are still preparing the noodles on their own and not handing over to foreign maids to cook. From what I see, the son even came and help out now. Passing on business huh? Good old Curry Noodles (RM 4.50) with toppings like shredded chicken, char siew, tofu skins and some raw cockles. 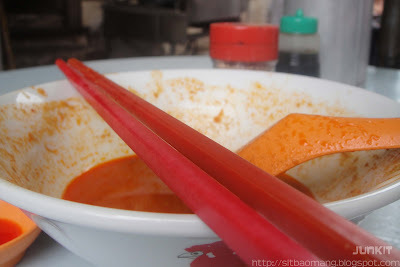 The star of the curry noodles would of course be the curry itself, not too spicy and just nice consistency. 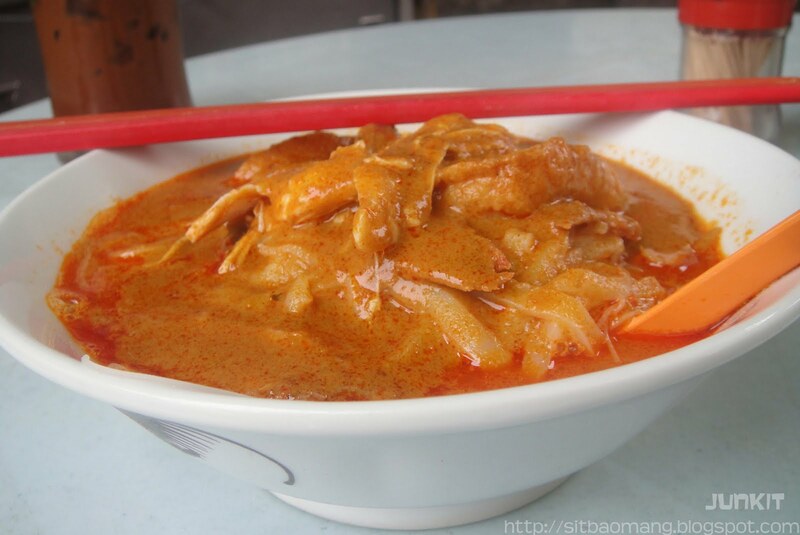 I like how the noodles got coat with the thick-ish curry on every bite. I don't take yellow noodles, so my always combination would always be kuay teow and vermicelli. Better still as vermicelli tends to soak most of the curry gravy in it, lol. This curry noodles stall is located between two coffee shops, one being TMC Kopitiam and I couldn't really remember the other's name. Just locate BHP Petrol Station (the only 1 petrol station in OUG) and TMC is located right opposite. The stall is located right between both coffee shop's lane. Opens from early morning till afternoon - depending though.